Established in the year 1985, we are a well reckoned manufacturer, supplier & exporter of laundry machines and garment finishing equipment. 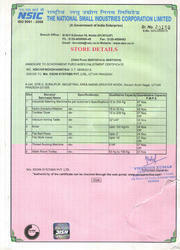 We are a leading supplier in India offer Apparel Processing, Dry Cleaning and Steam Finishing Machinery & Equipment. Our extensive range caters to the needs of garment finishing units, commercial laundries, hotels, hospitals and other units where bulk laundry is inevitable. 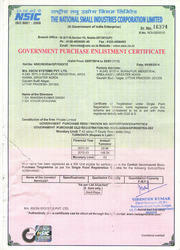 Operating under the tutelage of Mr. Mahesh Chauhan, our organization has grown exponentially. It is Mr. Chauhan's in depth technical knowledge, market understanding and strong business acumen that has steered the growth path of our company. Even since establishment, we have been introducing significant changes in the equipment available with us and are able to meet the international competition. Devised to emphasize our teamwork, high level of quality assurance and flexibility, our effective management systems & processes function on defined procedures & standards. Along with a well-laid production facility, we also have a in-house R&D department that continually works to develop new machinery and also to bring improvements in the existing line, so that we are at par with global competition. We assure complete customer delight through our set of client focused services like designing, equipment selection, installation, training, post sale-service etc., along with a complete range of equipment that users can rely on. We are a NSIC certified company involved in manufacture, export and supply of laundry equipment, dry-cleaning machines and hydro extractors. Our foray of from manufacturing & installing standard & customized laundry machinery for various industries has catapulted our strength to execute turnkey projects. We have been successfully executing several turnkey projects for clients in need of commercial laundry & garment finishing units. As increasing number of companies or commercial establishments are now opting for Turnkey Installation of garment finishing & laundry, we have built-up an experienced team of people, who are capable of passing on their experience to customers and develop & deliver larger process lines and turnkey projects. The project includes designing, fabricating and installing of the entire laundry or garment finishing systems and at times also includes operating the control systems. We have successfully completed a number of turnkey projects for different private and public sector clients. Our service engineers & technicians hold good understanding of the technical & operational details of the systems installed and are also trained by the companies to deliver effective service. We are a NSIC certified company involved in manufacture, export and supply of laundry equipments, dry-cleaning machines and hydro extractors. 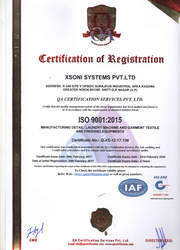 We at X-Soni Systems Private Limited is registered with ISO Certification.